The illegal sports betting trial of former junket operator and high-stakes poker player Paul Phua got underway in Macau this week. 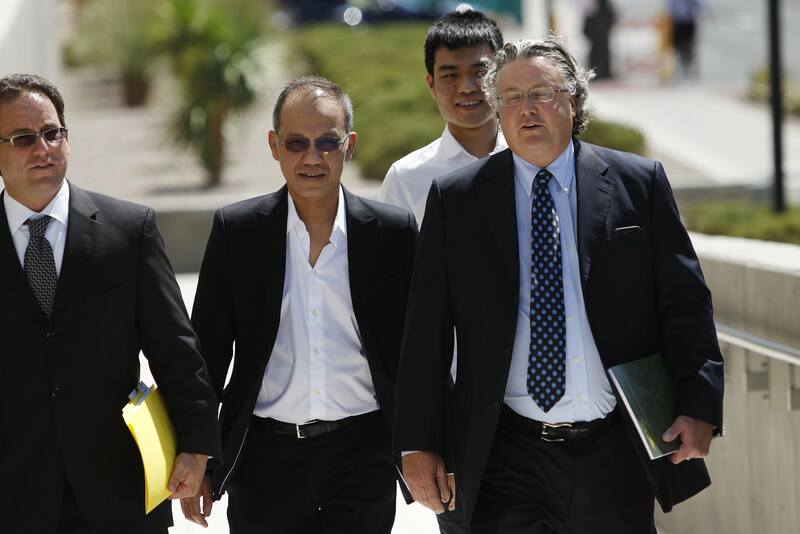 Phua is accused by authorities in the gambling hub of being the ringleader of an alleged high-stakes betting ring that is believed to have operated from several rooms at the Wynn Macau during the first week of the 2014 World Cup, including one room that had been rented by Phua for the previous seven years. The Malaysian billionaire hit the headlines in July of that year when he and eight others were arrested at three luxury villas at Caesars Palace, Las Vegas, on similar charges. Sensationally, Phua beat the rap in a high-profile court case, but his arrest and subsequent release on bail in Macau just weeks before the FBI came knocking at Caesars was less well-publicized. According to the Macau Judiciary Police (MJP), the operation handled $637.5 million during the first week of the World Cup, before it was raided on June 19. To put that into perspective, it’s twice the amount that New Jersey’s entire sports betting sector handled for the whole month of January. Following a tip off, MJP had set up surveillance on the rooms at the Wynn Macau the day before the bust. Its subsequent search of the rooms turned up laptops allegedly containing data on bets the group had taken on the World Cup matches. Along with Phua, there are 14 other defendants on trial, all of whom deny the charges, and claim they were merely a group of friends making online bets via their laptops. They also deny ownership of many of the materials seized in the rooms. None of the defendants were present in court on Tuesday. If found guilty, all face up to three years in prison. Phua has been described by ESPN as “the world’s biggest bookie.” The sports media giant claims he is the principal owner of the world’s largest sports book, MAXbet, an unlicensed operation serving the vast Asian black market. He was also accused by the FBI of being a member of the 14K Triads — although this claim is dubious. The intelligence was based on a single Malaysian police report that related to an investigation into someone else in which it was mentioned that Phua was once seen in the company of a suspected triad member. In 2016, Phua told PokerNews that you cannot be a big player in the Macau casino industry without having any contact with the triads whatsoever. During his Las Vegas trial, the Malaysian minister of home affairs wrote to the director of the FBI to attest to Phua’s good character and to deny he was a triad. Phua walked free from a Las Vegas court in June 2015 after the prosecution’s case was eviscerated by his lawyer, David Chesnoff, who successfully argued the FBI undercover operation used to gather evidence against Phua violated his Fourth Amendment Rights. Agents switched off the internet in the villas at Caesars, before entering posing as technicians. Chesnoff had all they evidence they gathered against the Malaysian tossed by the judge. The post Paul Phua on Trial in Macau for Illegal Sports Betting appeared first on Casino.org.